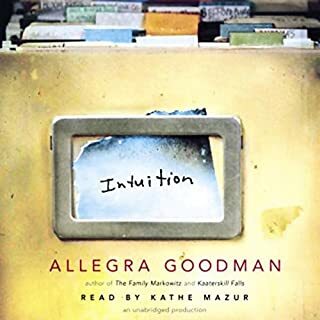 This was perhaps the most remarkable recording of any book I have listened to in the past decade since I have been using audible. 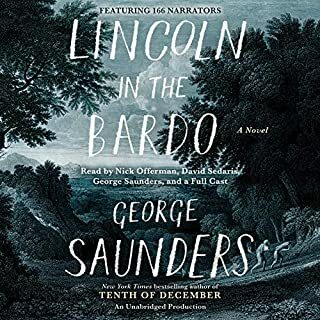 Not only are the actors moving and eloquent and angry and all the other emotions that Saunders is able to pack into his work, but they blend like a greek chorus to convey all the feelings that surrounded Lincoln, the country, and still resonate with us. The words are like no writer writing today and the production is worth listening to over and over. The principals are all wonderful, the "side" characters are distinctive and thrilling, and the end is both wrenching and reassuring. We can survive. We must survive. We will survive. Spain has played a unique and essential role in Western civilization. To understand the unfolding of Spain's epic history is to come to terms with one of the West's great cultures, and to grasp its enduring presence and impact on the world stage. 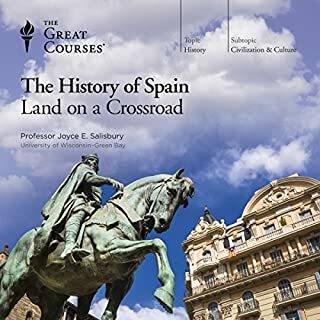 In these 24 accessible lectures, Professor Salisbury presents a broad and enthralling panorama of Spanish history, covering the centuries from the first prehistoric settlement of the peninsula to Spain's 20th century civil war. Easy listening, lots of things I didn't know so enlightening, at a level that I could understand and learn from. Of course one wanted more about recent Spanish history but there are books for that. This is the story of an artist as an aging man, struggling through the wreckage of Japan's World War II experience. Ishiguro's first novel. Of course one wants to read Ishiguro in part because of the Nobel Prize but this quiet book about the post war Japanese &quot;reckoning&quot; with the past is very hard to listen to because I think the choice of the reader was completely wrong. The main character's &quot;voice&quot; is a deep breathy upper class English one which is not at all the voice I heard through reading the book. I have no idea why he was chosen but it ruined the book for me. 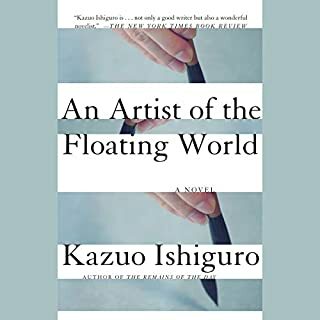 Ishiguro writes in English but this story is about Japan and Audible should have done more work on trying to match the reader to the character. By: Walter M. Miller Jr. 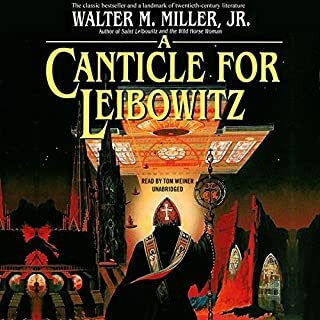 Winner of the 1961 Hugo Award for Best Novel and widely considered one of the most accomplished, powerful, and enduring classics of modern speculative fiction, Walter M. Miller’s A Canticle for Leibowitz is a true landmark of 20th-century literature—a chilling and still-provocative look at a postapocalyptic future. I think that books I know - and have known this one for decades - are often "new" when listened to and Canticle is. It was from the generation of post-apocalyptic novels - Riddley Walker is the greatest of them all - that were imbedded in the constant threat of nuclear holocaust and while that may have receded some, the vision Canticle presents has not. Societies tear themselves apart, realign and then do it again. The images Miller wrote about are indelible. Kate Schechter would like to know why everyone she meets knows her name - and why Thor, the Norse god of thunder, keeps showing up on her doorstep. 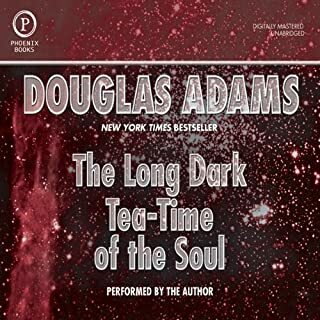 Dirk Gently, detective and refrigerator wrestler, can uncover the mystery, and only the absurdist wit of Douglas Adams can recount them with such relentless humor. Of course Hitchhiker's Guide is one of those books you read over and over and laugh every time but somehow this one tired out abouit halfway, for me, and when it was over I didn't even remember what it was about. My mind wandered. Adams is in the pantheon but this book is not. Would you be willing to try another book from Douglas Adams? Why or why not? Could you see The Long Dark Tea-Time of the Soul being made into a movie or a TV series? Who should the stars be? Guy Montag is a fireman. In his world, where television rules and literature is on the brink of extinction, firemen start fires rather than put them out. His job is to destroy the most illegal of commodities, the printed book, along with the houses in which they are hidden. Montag never questions the destruction and ruin his actions produce, returning each day to his bland life and wife, Mildred, who spends all day with her television "family." 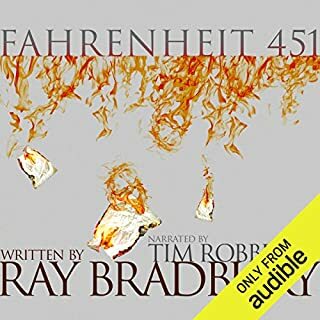 Where does Fahrenheit 451 rank among all the audiobooks you’ve listened to so far? What was one of the most memorable moments of Fahrenheit 451? I think narrators can make books - no doubt - and the narrative voice captures Bradbury's novel so well you feel immersed. Even though I have read it before, listening was a great experience. Terrific choice for a book for the ages. A preeminent geneticist hunts the Neanderthal genome to answer the biggest question of them all: what does it mean to be human? What can we learn from the genes of our closest evolutionary relatives? 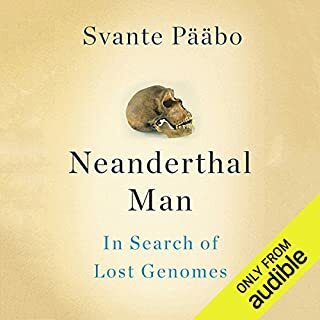 Neanderthal Man tells the story of geneticist Svante Pbo’s mission to answer that question, beginning with the study of DNA in Egyptian mummies in the early 1980s and culminating in his sequencing of the Neanderthal genome in 2009. Would you try another book from Svante Pääbo and/or Dennis Holland? Who would you have cast as narrator instead of Dennis Holland? If you could play editor, what scene or scenes would you have cut from Neanderthal Man? Most of it - simply an example of why the pettiness of academics is something most of he world doesn't want to hear. I may not have read this blurb well - it is something that might work as a graphic novel but as a book it is just beyond belief bad. I have a tremendous interest in human evolution and always have and have read and listened to other books on the subject. There are nuggets but overall if it were a book, I would be flipping pages constantly. Maybe biology grad students might find this interesting but I hope they are off reading literature instead. Sandy Glass, a charismatic publicity-seeking oncologist, and Marion Mendelssohn, a pure, exacting scientist, are codirectors of a lab at the Philpott Institute dedicated to cancer research and desperately in need of a grant. Both mentors and supervisors of their young postdoctoral proteges, Glass and Mendelssohn demand dedication and obedience in a competitive environment where funding is scarce and results elusive. This book wasn’t for you, but who do you think might enjoy it more? What was most disappointing about Allegra Goodman’s story? It took almost the whole book to "take off" and ended up not clearing the trees. Slow, subplots like smitten teens and other side plots, didn't much like any of the characters, completely undramatic and just something that did not seem like a whole lot of interest to anyone - and I am in the medical sciences. Not many. I have no idea who recommended it but won't make that mistake again. From one of Outside magazine's "Literary All-Stars" comes the thrilling true tale of the fastest boat ride ever, down the entire length of the Colorado River and through the Grand Canyon, during the legendary flood of 1983. In the spring of 1983, massive flooding along the length of the Colorado River confronted a team of engineers at the Glen Canyon Dam with an unprecedented emergency that may have resulted in the most catastrophic dam failure in history. Awesome story and history of the Grand Canyon! The background of this book (the history of water, dams, and the West) is much more interesting than the foreground (an overly dramatic reading and hyped writing of an event that most folks, including me, don't really care about all that much). It is where a book and words leave one short no matter how much they try to paint a picture - would be a better documentary film. The main characters are obsessed folks to say the least and not all that much to learn from their obsessions. What aspect of Paul Michael Garcia’s performance would you have changed? I felt myself being really irritated both by the scenery chewing style he reads in and the repeated mispronunciation of the word "gunwale" which is pronounced traditionally as "gunnel". A story about a boat ought to have the terminology right. 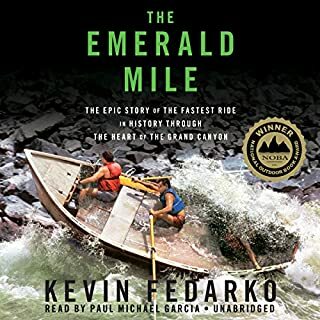 Did The Emerald Mile inspire you to do anything? Nope - except to stay out of white water canyons. With the meteoric success of Oldest Living Confederate Widow Tells All, Allan Gurganus placed himself among America’s most original and emotionally engaged storytellers. If his first comic novel mapped the late nineteenth-century South, Local Souls brings the twisted hilarity of Flannery O’Connor kicking into our new century. Would you listen to Local Souls again? Why? 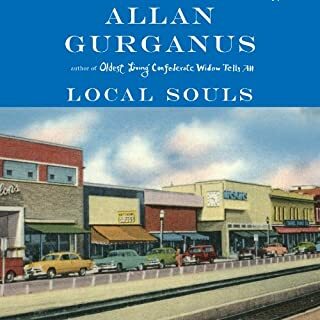 Books narrated by the author are ones to aim for and Gurganus' voice is perfect in its pace, emotion and undersanding of the nuance of his stories. Wonderful. Will Mabry is a complicated and thooughtful character in "Decoys" and his view of his own life spanning country to city and poor to middle class is really a wonderful and sympathetic portrayal of both. Small towns have been the subject of way too many uninterestng and overwrought novels and stories but Will's voice, through Gurganus, is true and authentic. What about Allan Gurganus’s performance did you like?